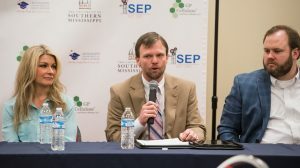 Following Wilcox’s opening presentation, representatives from the Oxford University Bank, Mechanics Bank, North Mississippi Enterprise, Oxford-Lafayette County Economic Development Foundation and the Mississippi Small Business Development Center participated in a panel discussion. 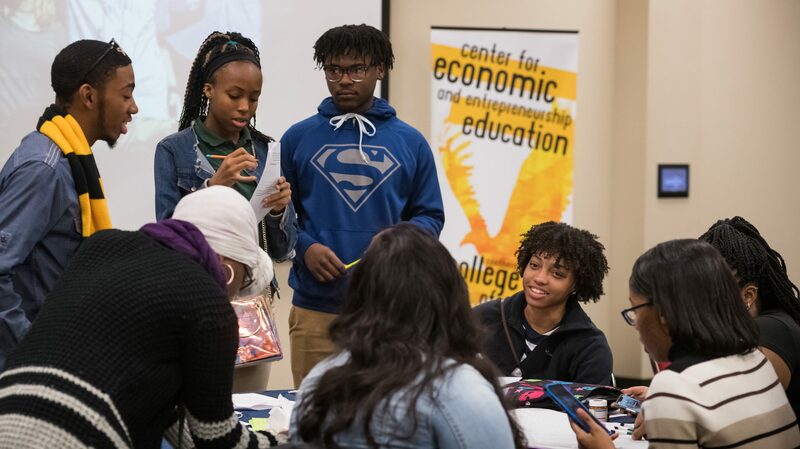 Questions addressed included what high school students can do to grow their networks, how to make their social media accounts more professional, and how to begin saving and investing money. Katie Naron, instructor in teacher education at the UM School of Education, discussed the importance of etiquette with conference participants. 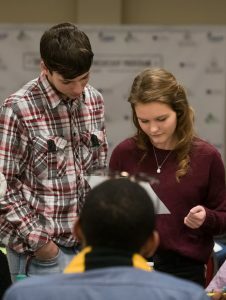 Several students talked about specific benefits they gained from the conference.